Awesome Stretch Bracelet in antique silver finish and Austrian crystals. 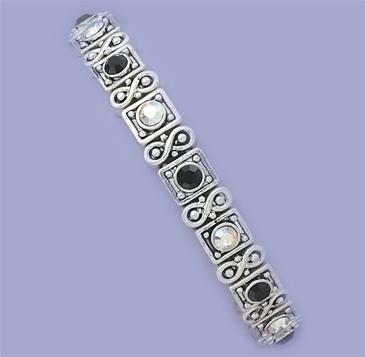 Yurmanesque inter-twined antique Rhodium 2-tone, Cuff / Bangle style Bracelet with clear diamond CZs. 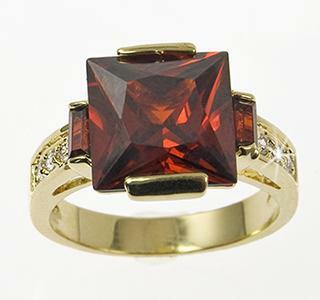 Stunning multi-faceted Ruby CZ Ring accented with baguettes and clear round CZs on each side.